Hello Linux Geeksters. A while ago, “The Debian Administrator’s Handbook, Debian Wheezy from Discovery to Mastery” has been officially released by the developers, proving 498 pages of Debian tips and tricks, including: installation mods, repositories, aptitude and apt-get commands, LXC, graphical user information guides, packet filtering, user and group databases, instructions for compiling kernels and many others. 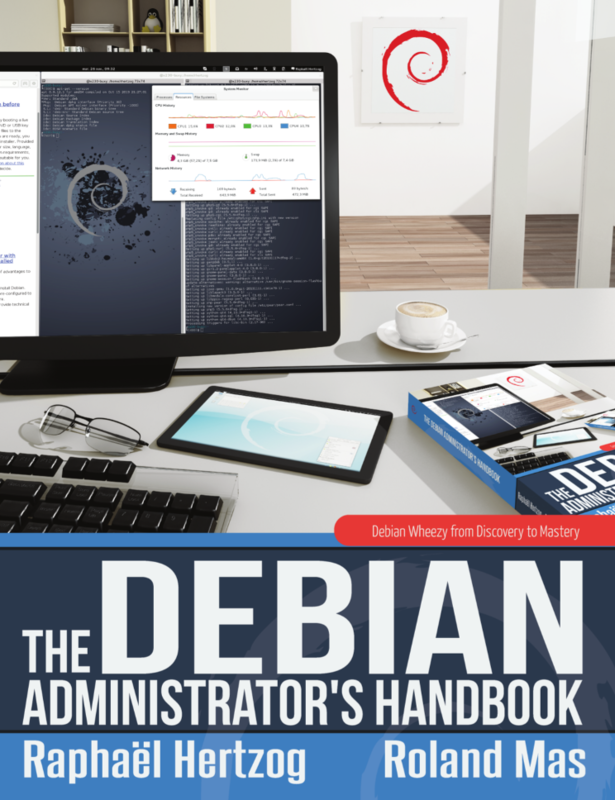 “The Debian Administrator’s Handbook, Debian Wheezy from Discovery to Mastery” is an update to the “The Debian Administrator’s Handbook”, the Debian book that has been released in May 2012. The book targets both beginners and advanced Linux enthusiasts. The Debian book is available via http://debian-handbook.info/get/, as PDF, EPUB or MOBI.